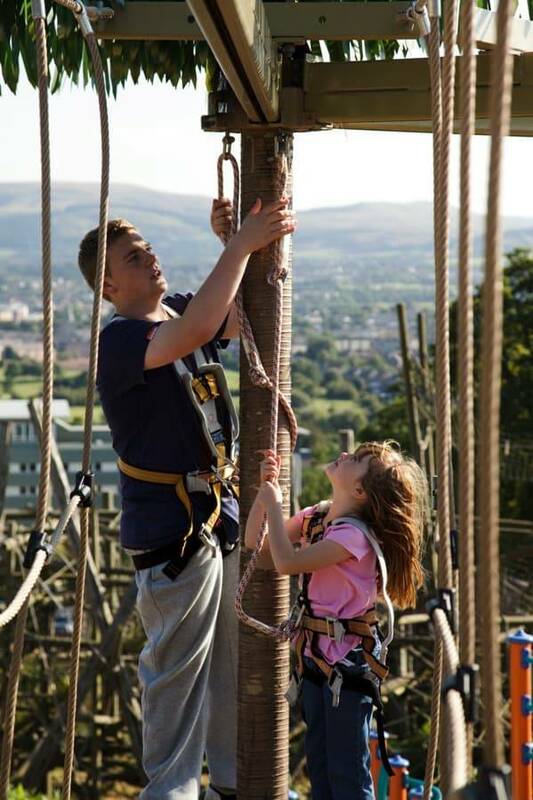 The Sky Trail Discovery high ropes course is perfectly suited to sites looking to offer a high ropes experience for the whole family, even those with younger children. With either a single or double level format this course is for those looking for an entry-level product in the Sky Trail range. 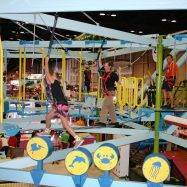 Capacity ranges from 25 to 50 people per session and the construction size ranges from five to ten poles. 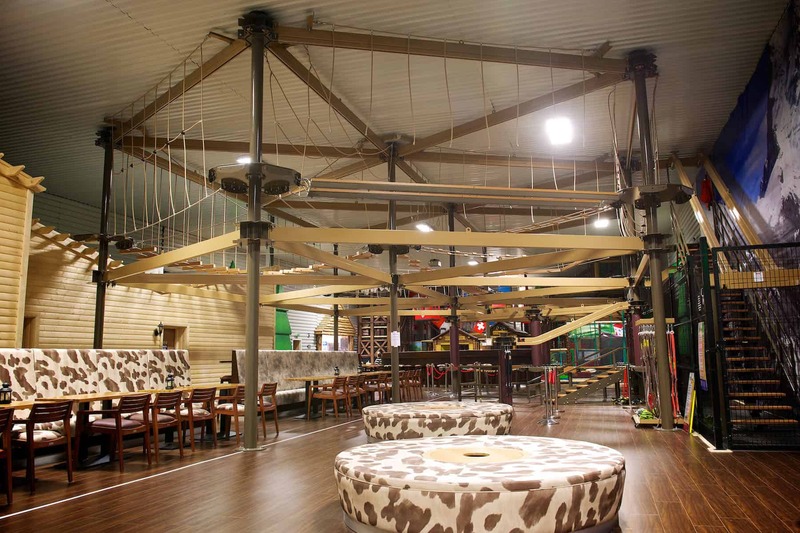 There is a Discovery ropes course to suit almost any location, both indoors and outdoors. 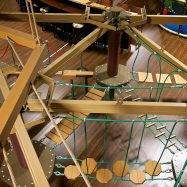 The Sky Trail Discovery ropes course can be installed indoors or outdoors, at just under 6m tall it can fit into buildings with relatively low ceiling height. 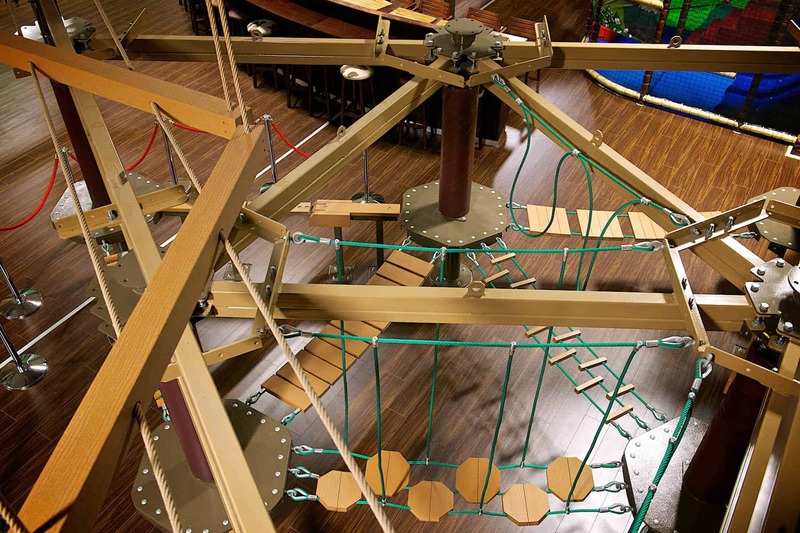 This course is a popular option with the indoor play centre sector in particular as they can be installed around existing equipment or above a seating area taking advantage of otherwise unused space. 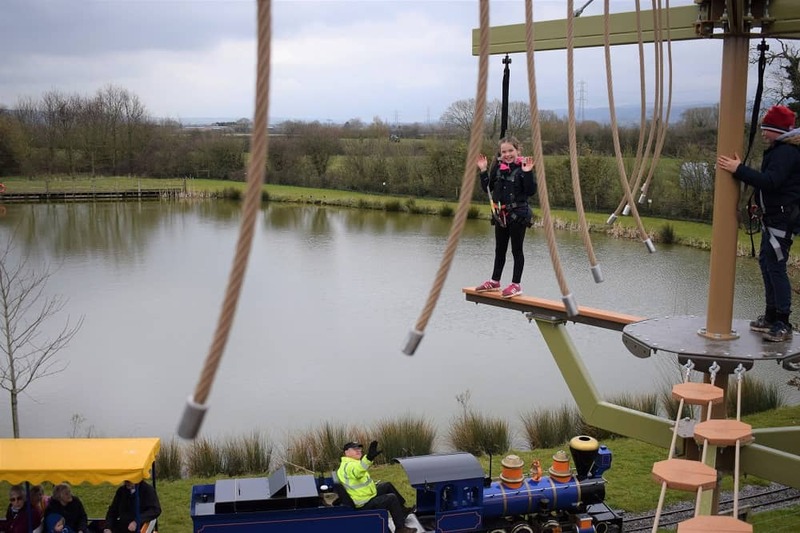 Great examples of this can be seen at both We Are Vertigo, Tolmers Scout Camp and Adventure Kidz where Sky Trail Discovery courses have recently been installed. 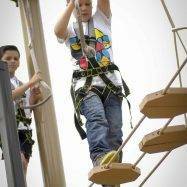 The modular construction of Sky Trail Discovery ropes courses allows courses to be built in sizes ranging from five to ten poles with a diverse range of challenging elements installed between each pole. 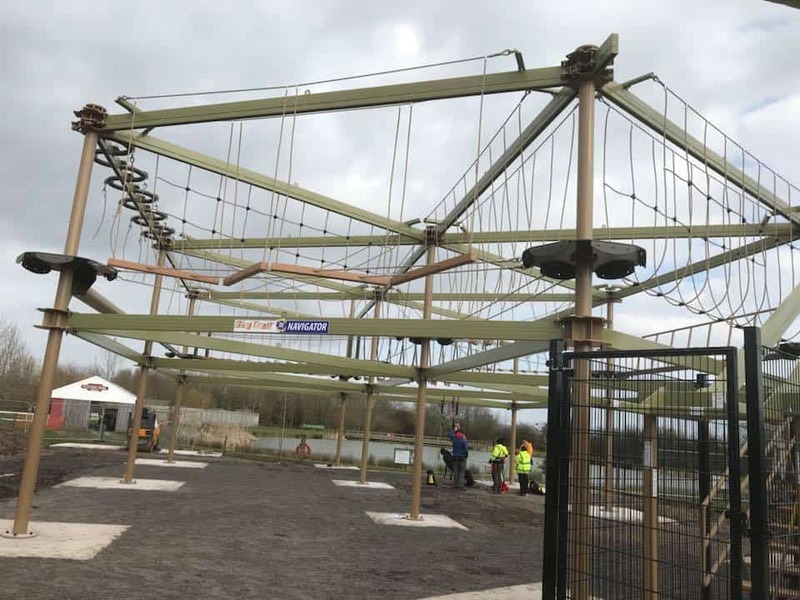 Once your Discovery ropes course has been constructed, additional poles and elements can be added at a later date in order to increase the capacity to meet high demand. It can be configured in numerous layouts based on an equilateral triangle design. 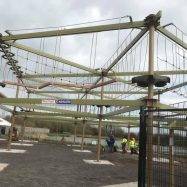 The double level courses increase capacity while allowing participants to progress from the more comfortable first level to test their nerve on elements 8m above the ground on the second level. 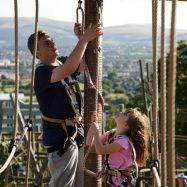 The additional challenge presented by the second level is a great way to increase your target age range. 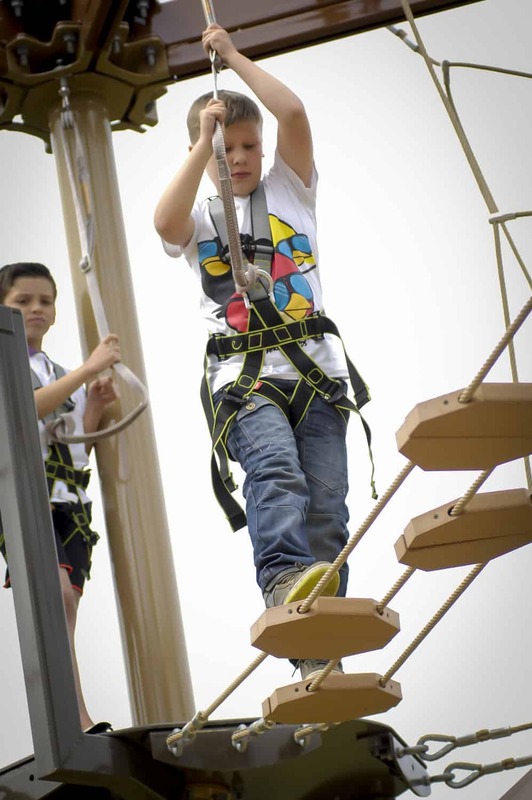 Sky Tykes courses are scaled down versions of the main course just a metre off the ground and are aimed at 2-7 year-olds. 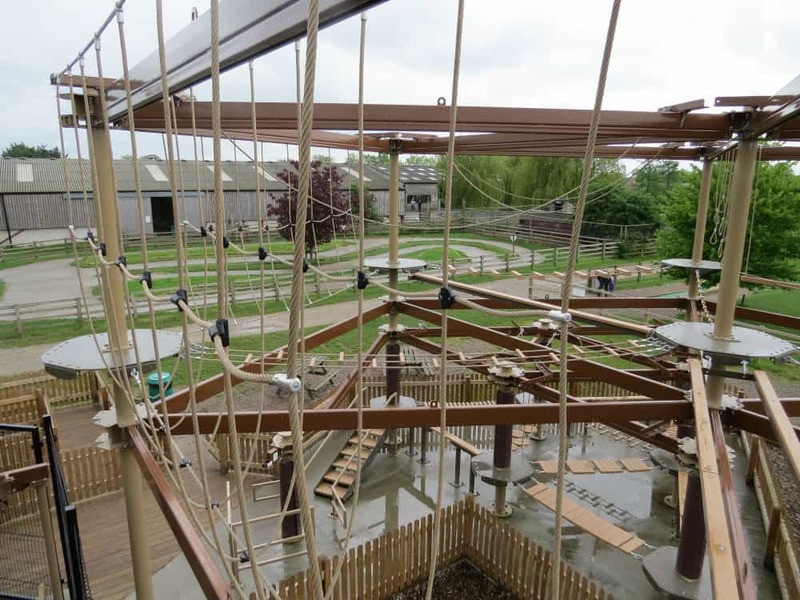 Combining the Sky Trail Discovery ropes course with Sky Tykes allows the whole family to share a ropes course experience together as seen at Mead Open Farm (outdoors) and We Are Vertigo (indoors). 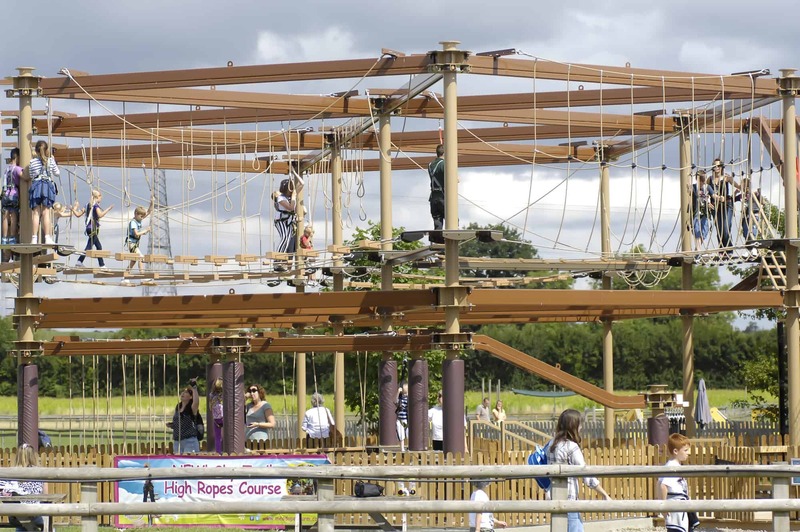 The Sky Rail rigid zip track can be installed as a feature of our Sky Trail High Ropes Courses to enhance the experience. 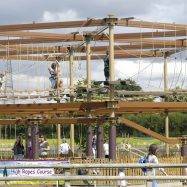 If you don’t think the Sky Trail Discovery course is the right high ropes for you then take a look at our other Sky Trail options. 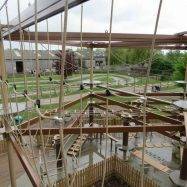 The Sky Trail course has been a great addition to our new site. Early feedback has been superb with many people saying they will come back for another go. 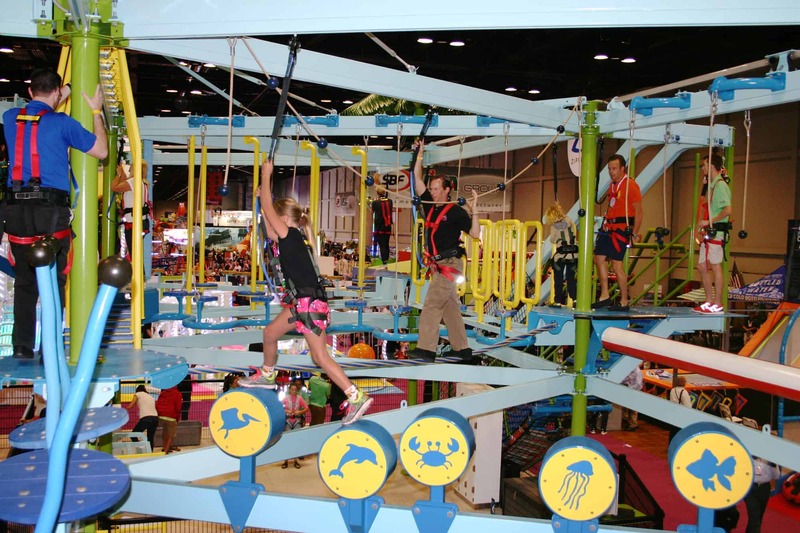 Working with Innovative Leisure was a pleasure. 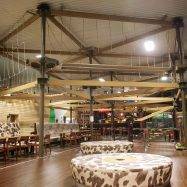 Their calm efficiency really enabled us to carry out the project as smoothly as possible.